Open houses today in Salt Lake area, Makiki, Puanahou, Waikiki, Diamond Head, Kahala, Ewa, Ko Olina, Makakilo, and Mililani...111 homes/condos open 9:30-noon for most, some stay later and all will have signs directing you. What are you looking for? Email me at belindab@hawaiihomesforsale.org and I can send you the list in your favorite areas. 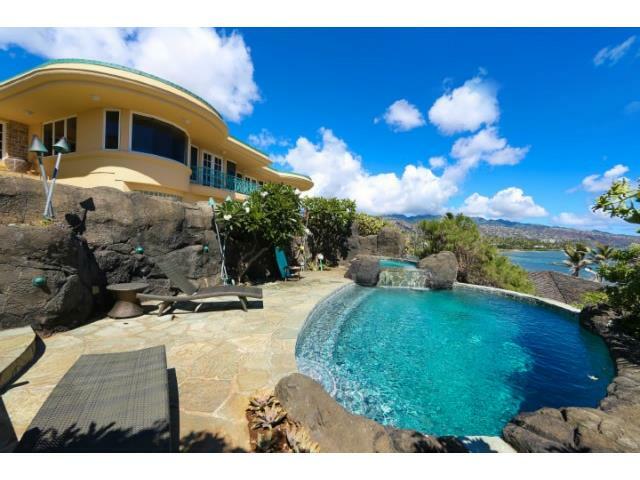 Fun to look at the big homes in Black Point for $7,495,000 4076 Puu Eleele Place, Honolulu 96816 pictured below. OOOOOHLAAALAAA!